One year after the tragic death of Dr. Myles Munroe, leading publisher Destiny Image releases a thoughtful and insightful message about Dr. Myles Munroe’s Kingdom teaching. 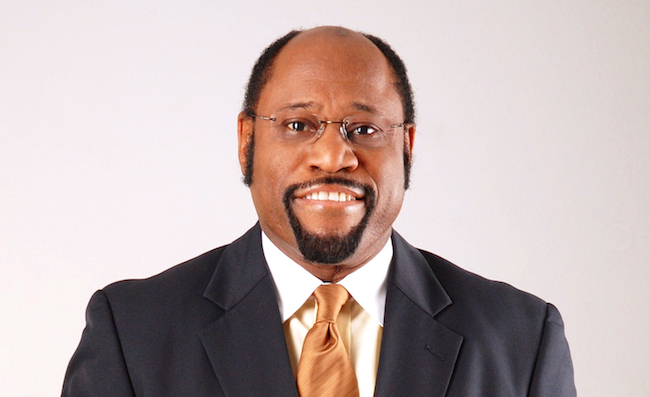 While many remember Dr. Myles Munroe for delivering exceptional teaching on topics such as purpose, potential, vision, praise and worship, leadership, and even relationships, perhaps no revelation has attracted more attention—and thus, has been more integral to the shifting of the landscape of the church—as his message on the Kingdom of God. In this respect, Dr. Munroe served as a pioneer and prophetic voice, summoning the church to lift up its eyes and start embracing its heavenly inheritance now instead of just holding out for the afterlife. In commemoration of a year since his home-going, it is worth noting that Dr. Munroe was a key figure when it came to heralding the Gospel of the Kingdom. From the release of his groundbreaking book, Rediscovering the Kingdom, onward, Dr. Munroe laid out a revelatory biblical blueprint for what the fullness of the Gospel looks like. Certainly, these thoughts attracted both enthusiastic acclaim and reactionary antagonism, as he was calling Christians to question whether or not they were actually walking in the fullness of what Jesus described as “the gospel of the kingdom” (Matthew 24:14). Perhaps many believers assumed they were experiencing the zenith of their Christian lives; Dr. Munroe was a voice calling them to never settle, never quit, and constantly press in for the “glory to glory” journey about which apostle Paul wrote. Dr. Munroe now stands among the great cloud of witnesses in Heaven, still beckoning the church onward, not to simply be preoccupied with the afterlife—though important—but to become representatives and ambassadors of the Kingdom of Heaven on earth. His voice continues to challenge Christ-followers around the world to fulfill their destinies, as his message resounds through his landmark books, teaching series, video messages, and other media. Dr. Munroe’s Kingdom message is more crucial than ever for the church. In an hour of great turmoil, uncertainty, and upheaval, Christians need to fully step into their Kingdom purpose. It is not time for Christianity to try and model the behaviors of the surrounding culture, nor is it time for the church to be intimidated by the encroaching darkness and retreat into hiding. In fact, when this Kingdom message is abdicated and exchanged for a Gospel that focuses exclusively on making it to Heaven and eschatological prognostications that culminate in some global doomsday scenario, the world suffers from the absence of a Kingdom-minded church. The Kingdom message announces boldly and clearly, “Arise, shine, for your light has come, and the glory of the Lord has risen upon you” (Isaiah 60:1 ESV). How is this possible? Jesus made it clear: “behold, the kingdom of God is within you” (Luke 17:21 KJV). These two Scriptures encapsulate the mandate of Dr. Munroe—to call people to “Arise and shine” in the midst of darkness, and to recognize that the light of God is within them, and upon them, because they carry the Kingdom of God! This entry was posted in Editorials, World News and tagged Destiny Image, Dr. Myles Munroe by Kris Patrick. Bookmark the permalink.